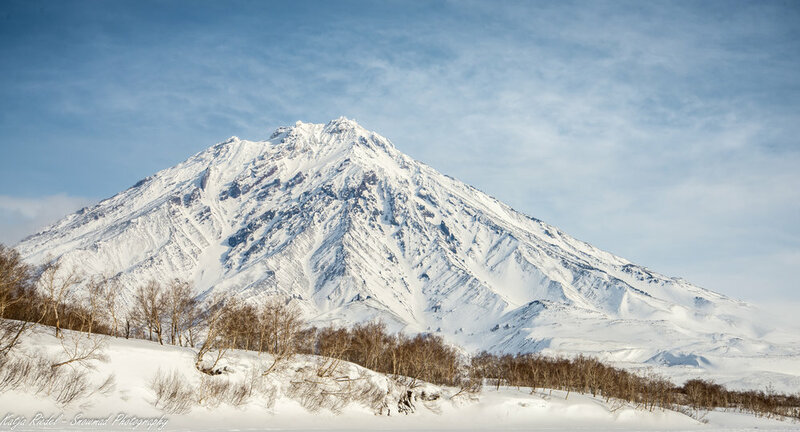 Kamchatka is the peninsula in the far east of Russia, a continuation of the Pacific Ring of fire from Japan over the Kuril Island. It has 29 active volcanos and many more dormant ones. For me it was always a dream destination, the combination of fire and ice irresistible. 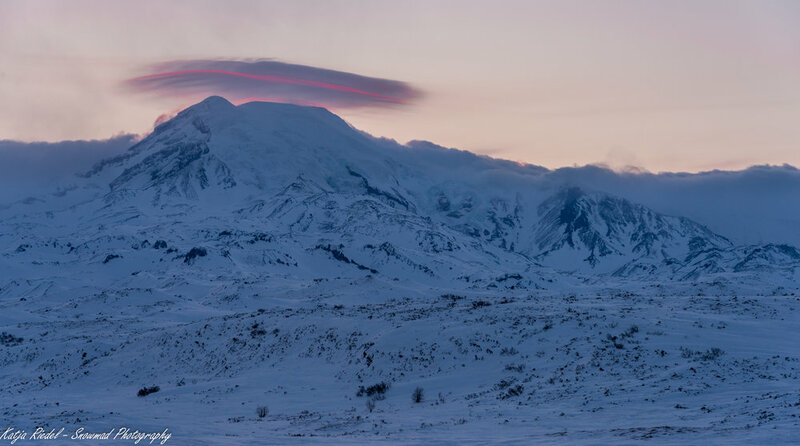 This year in March and April my dream came true and I travelled to Petropavlovsk-Kamchatsky, the capital of Kamchatka. (Change planes in Vladivostok!) It was snowy and cold, around -20 degrees Celsius. After a few days in town I headed north by bus to Esso. We were a group of 9 keen travellers from all over the world brought together by Inertia Network. 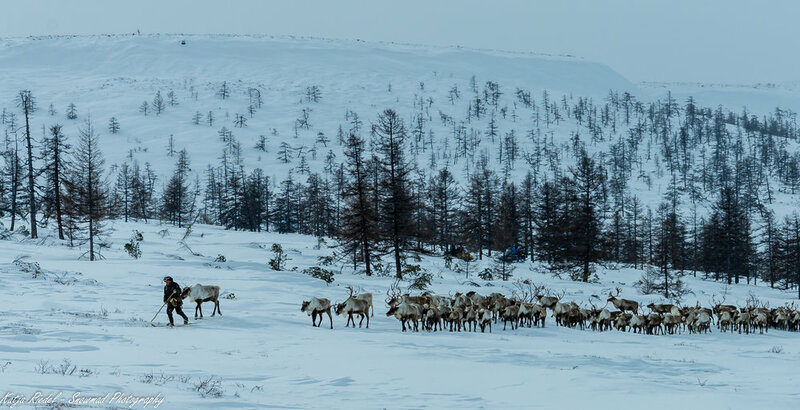 Our goal was to visit the native Even reindeer herders. The travel on skidoo was thrilling, the nights in the tent at -20 chilling and meeting the reindeer fulfilling. While they were grazing I sat in their midst and was nibbled on by soft fury lips. Further exploration brought us to the food of Ichinsky volcano (3607m). 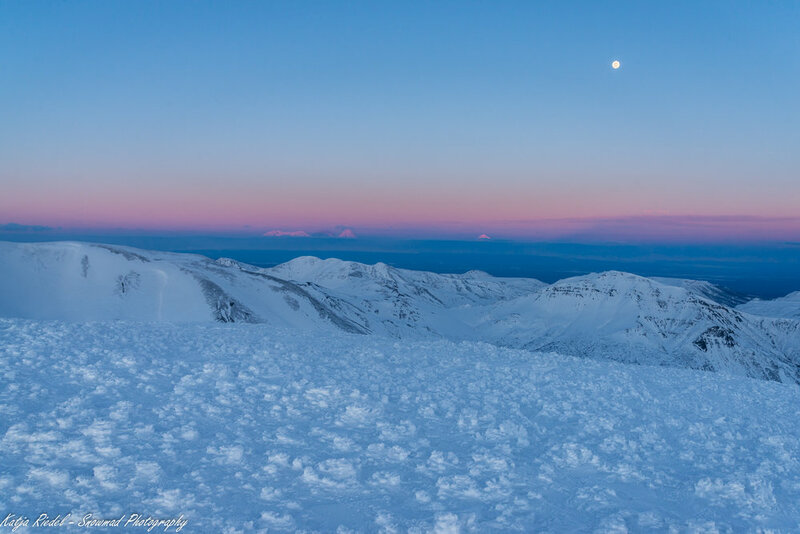 I loved to see the sunset and sunrise on it's snow covered flanks. After the group departed I spend a few more days in Esso. 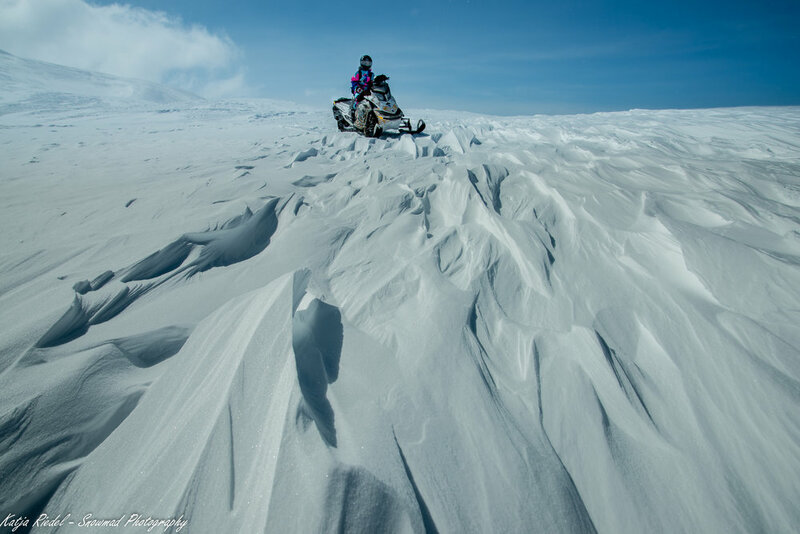 Together with guide and snowmobile driver Igor I explored the mountains surrounding Esso. I got the ski virgin slopes with soft powder, Igor pulling me up the slope behind his skidoo (a bit like water skiing). One day we got into a snow storm, taking shelter in one of the huts that Igor had helped to build. We both looked white like snowmen. The last week of my trip I spent in Yelizovo in the South. 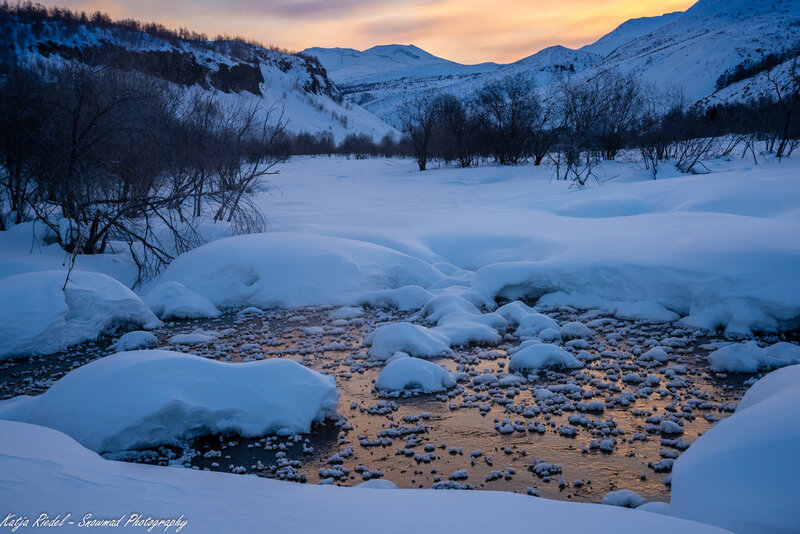 Stormy, snowy days meant I went cross country skiing along the Avacha river and bathed in hot pools rather than climbing volcanos, but on my last day the weather cleared and together with Slava and Natasha I went to Camel mountain and Avachinsky Pass. 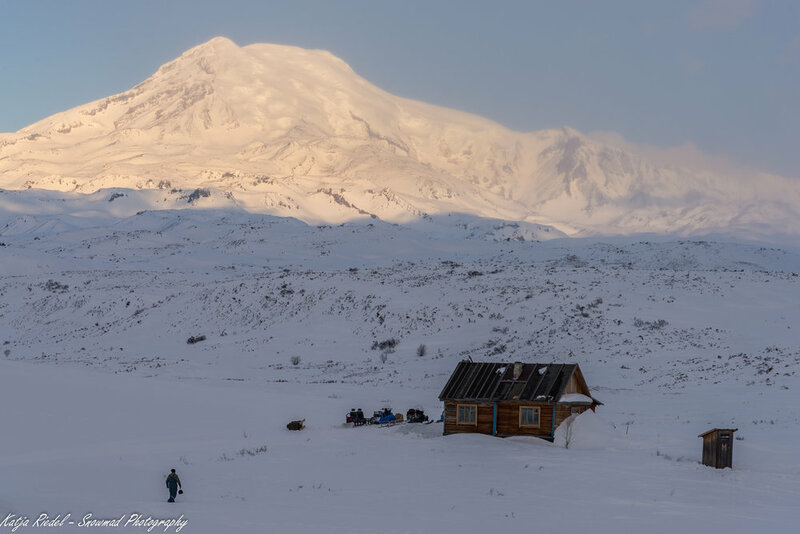 The place was amazing, flanked by Avachinsky volcano (2741m) and Koryaksky volcano (3456m).